If you are like the countless folks who applied for and received a credit card at any point of time, you may have been getting somewhat worried with all these news stories coming in lately of some or the other online credit card fraud being committed. You would also have noticed a reference to a CVV number, which is initially puzzling to many. What is a CVV number? It is an acronym for Credit Verification Value. 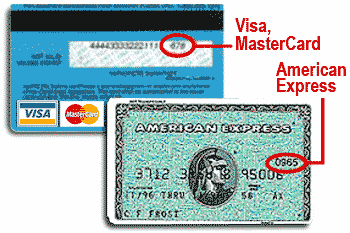 If you hold a Master or Visa credit card, this is a 3 digit number printed on the back of the card. For American Express cards, it is worse as this code (4 digits) is printed on the face of the card. It is simply a method for the card issuing company to verify that if you are conducting any online transactions, you are indeed the person authorised to do so, as this assumes you have the card physically with you. However, of late, card holders have been freely sharing this information with not only the website(s), but also agents who act on behalf of such sites, particularly if there is some delay in providing services. So rather than wait, such people simply give all details to this agent to process the transaction sometime later. However, unknown to them, the agent, if unscrupulous, can retain that information and then use the card to indulge in some personal shopping online! As the CVV number is printed on the card itself, it is quite exposed and risky if you are in the habit of leaving your card case / wallet lying around. Among the main culprits who’ve been caught, several have been employees of hotels, both big and small. The reason being that you rarely see the card swiped in your presence. It is always collected with the bill in a nice little leather folder and then returned to you along with the copy of the charge slip and one for you to sign. Please avoid this and ensure the card is swiped in front of you.